"Superstar" is a favorite. A perfect recognition award or corporate gift for those who reach for the stars, this popular item is handcrafted from finely cut, faceted crystal. 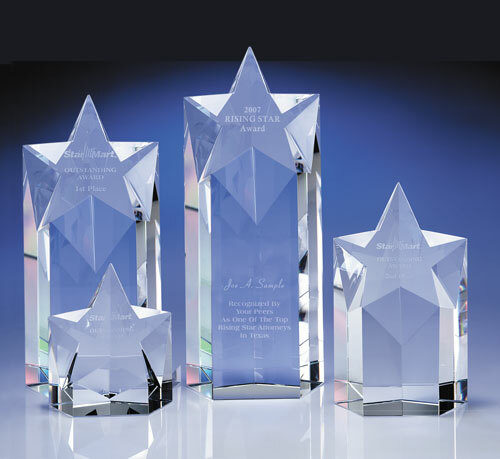 "Superstar" features a slanted star shape, perfect for etching, as well as a flat, vertical crystal tower that can also be etched. Available in 4 sizes. 3 5/8" x 2 1/8" x 5 3/4"
Etching Area: 1 1/2" x 1 1/2"